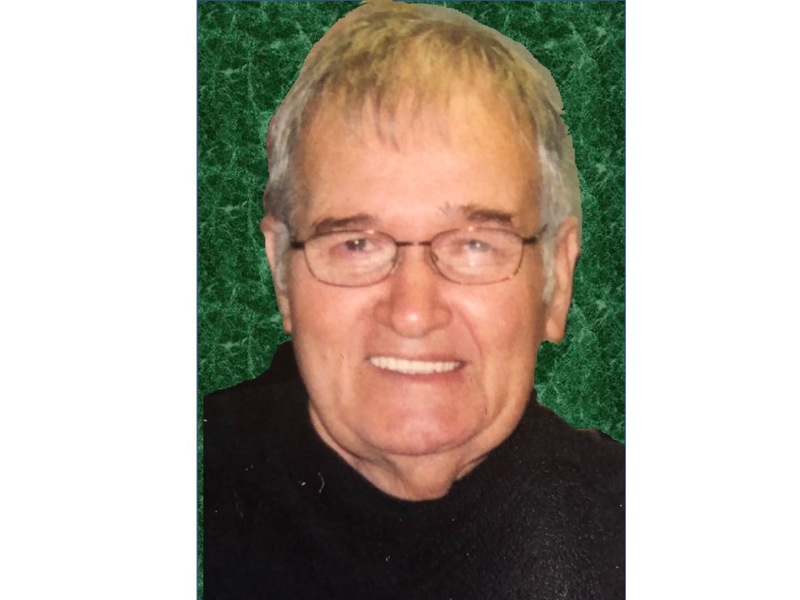 Obituary for Frank "Spike" Globosky Sr. | Joseph W. Nickels Funeral Home, Inc.
Frank "Spike" Globosky Sr., 79, of Herminie, died Sunday, April 15 2018, in Westmoreland Manor, Greensburg. He was born Oct. 11, 1938, in Rillton, a son of the late Frank M. and Maude (Holderbaum) Globosky. In addition to his parents, he was preceded in death by his beloved wife, Elizabeth "Liz" A. (Brown) Zornick Globosky in 2011; and a brother, Luke Globosky. Prior to his retirement, Spike was a machinist, having worked for Hudwood Irwin Corp. in Shafton for many years; he was a mason by trade. Spike was not only an honorary life member of the Herminie VFD Station 15 since 1965, he was proud and honored to be fire chief for 33 years. He enjoyed spending many hours at the firehall working bingo, parades, fireman fairs, helping with fundraisers and just hanging out with all his fellow firemen at the station. He was also the fire instructor at St. Vincent College for many years. When Spike was in his younger years, he helped with ambulance calls out of Stader-Nickels Funeral Home. He was always eager to lend a hand and help his community. His memberships include the Westmoreland County Fireman's Association, Fire Chief Association and Mohawks. He was also was a 50-year member of the Herminie SNPJ Lodge 87. Spike enjoyed attending the dirt stock car races with his family and friends at Eldora Speedway. Spike enjoyed supporting the grandchildren in all their activities, including becoming firefighters themselves. He will be sadly missed and forever loved by his family and all his fellow fireman friends he made over the years. Spike is survived by his two sons, Frank (Judy) Globosky Jr. and James R. (Kris) Globosky, both of Herminie; a granddaughter, Trista H. Globosky, of Squirrel Hill; two grandsons, Nathan S. Globosky, of Minneapolis, and Doug (Meg) Kammerdiener, of Australia; a great-granddaughter, Nora Kammerdiener; two sisters, Delores "Gerta" Globosky, of Tenn., and Patricia "Patsy" (Joe) Troy, of Georgia; numerous nieces and nephews; and great-nieces and great-nephews. The family extends a special and heartfelt thank you to all the staff at Westmoreland Manor over the past two years and Heartland Hospice for their compassionate care. Friends will be received from 2 to 4 and 6 to 8 p.m. Wednesday at the JOSEPH W. NICKELS FUNERAL HOME INC., 404 Sewickley Ave., Herminie, Pa., 724-446-7251, at which time a funeral service will be held in the funeral home with Pastor Randy Landman officiating. The firemen will meet at 7 p.m. Wednesday for services in the funeral home. In lieu of flowers, the family requests donations be made to Herminie VFD Station 15, 101 Sewickley Ave., Herminie, PA 15637, in memory of Spike. To send online condolences, please visit www.nickelsfuneralhomeinc.com.